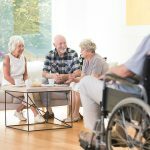 Moving a loved one into an assisted living facility can be a very difficult moment for families. One way to help make this transition easier is to make their new home as comfortable and familiar to them as possible. By making their new space more “homey,” your loved ones will be more comfortable in the time it takes to adjust to their new environment. 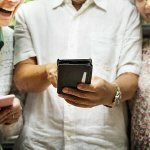 The most important things you can do when creating a new home for your loved one is to bring elements from their old home and do a deep check into the facility to ensure it’s the perfect place for them. This week, we’re discussing how to do those things and looking at one facility who took the idea of feeling like home to a whole new level. The easiest way to make your loved one’s new living space more familiar is to fill it with things they love. Photographs, furniture, blankets, knick-knacks, and other personal belongings from their old home will make their new space seem more like their own. Dressers, walls, bathrooms, and shelves can be lined with these items, but make sure not to clutter the space. Too much clutter on floors and in doorways can be dangerous, especially if your loved one is at risk of falling. Surrounding them with memories and familiar objects will help them be more comfortable and at ease. Another way to make sure your loved ones will be comfortable in their new environment is to make sure the area itself feels like home. If they are moving into a place that feels more like a hospital than a home or looks cold and uninviting instead of warm and inviting, they are much more likely to be uncomfortable and uneasy in their new space. Although the physical or structural appearance of an assisted living facility might not be something you as a tenant can change, decorating the space with objects from your loved one’s previous home will be the biggest help to make the space feel more inviting and homelike. 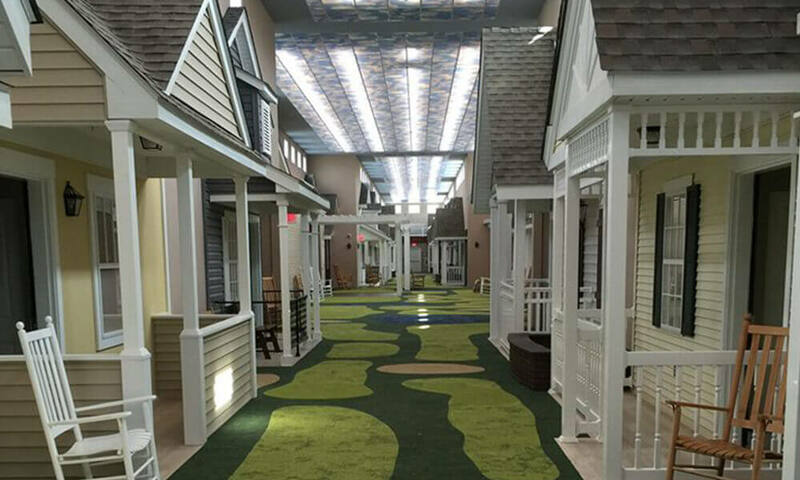 One man by the name is Jean Makesh, CEO of the Lantern assisted living facilities, had a crazy idea when he transformed his assisted living facility into an actual indoor neighborhood for his residents. It was especially helpful for residents suffering from Alzheimer’s disease or dementia, as the environment they live in is essential to their wellbeing. By transforming a normal assisted living facility into a neighborhood replicating the 1930s and 1040s, residents feel like they’re in the neighborhoods they grew up in. The ceiling is completely digital, so it gets darker at night and light during the day to help seniors’ biological clocks stay on time. There’s also aromatherapy scents pumped through the facility to help stimulate actions and emotions. They can pump certain scents through the halls when it’s time for the patients to eat, and others through the air to help change the mood or emotions of residents. This is especially helpful for people suffering from depression, as many seniors with dementia are prone to. By making the facility feel more like a home instead of a regular assisted living facility, his residents became more comfortable. In some cases, the memory care residents also showed some cognitive improvement. While what Jean Makesh did at his facility isn’t the most feasible option for everyone, it does show how surrounding your loved ones with familiar things can help make them more comfortable in their new home. Here are some other ways you can help your loved ones feel more at home in their new living space! If you’re nervous about moving a loved one into assisted living, call The Waterford today to learn how we make our residents’ experiences here as fulfilling as possible.